Space for everyday essentials plus a few fabulous finds? 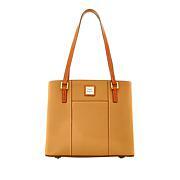 Get it with Dooney & Bourke's shopper. 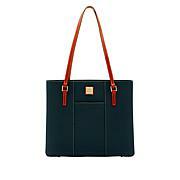 Durable nylon and smart, leather trim make a chic affair out of toting around those must-haves. 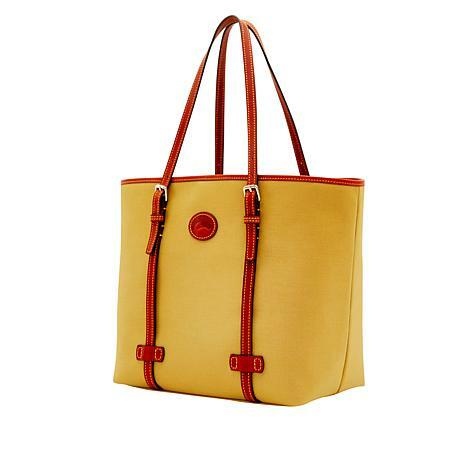 I get compliments on this bag every day!This bag is longer and shorter than the other shopper db bag on hsn. 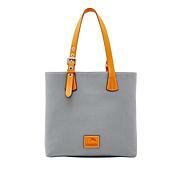 It fits my assortment of daily necessities and looks great. Easy to wipe, snaps closed so easy to access quickly. Straps are adjustable. I love this bag! Kim Isaacsohn, Head Coachman of Clever Carriage Company, absolutely loves leather craft. These shoppers are braided in genuine leather, completely by hand. The distressed painted leather gives the bags a totally vintage feel. Bring this leather craft bag into your life and wait for the compliments!